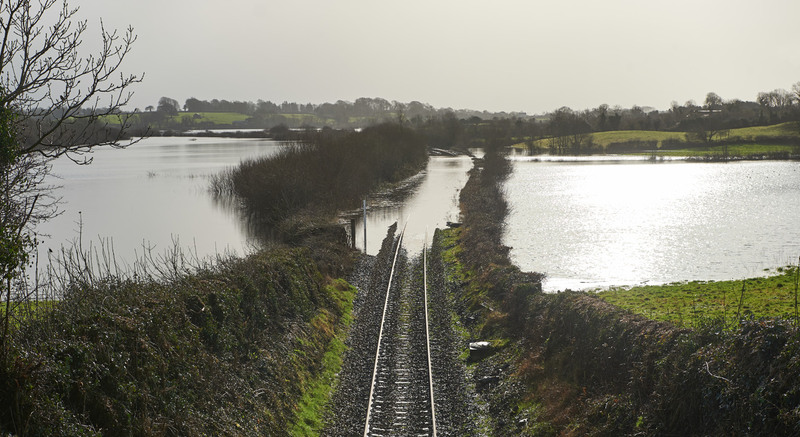 Clare County Councillors, who supported the €120 million distributor road in South-East Clare, have been urged to visit areas along the route line that have been left “devastated” by flooding. Opponents of the road were left shocked and bewildered last July when a dramatic turnaround saw the preferred route approved by 17 votes to nine two weeks after it was unanimously rejected in the council chamber at the first meeting. 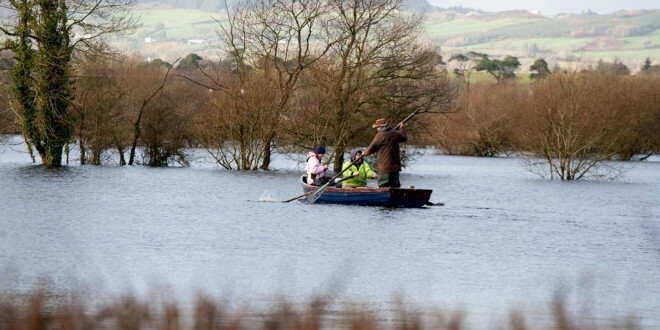 In an open letter published in The Clare Champion, Parteen resident, Henry O’Boyle has drawn councillors’ attention to the flooding crisis that is affecting the residents of East Clare. Mr O’Boyle said this is the same area where some councillors supported the building of the Limerick Northern Distributor Road, a route which cuts across a very important floodplain that is now in flood. “I would like to say to the councillors who voted against the route “well done” because they showed that they understood the environmental impact of such a route and they listened to the local people and their local knowledge. “Millions of euros will need to be spent in repairs and prevention measures in 2016. With the River Shannon in flood and Parteen Weir releasing more water to the lower Shannon basin, many homes will be abandoned over the New Year. It must also be remembered that the Shannon river is not the only local river: there is the Mulcair and the Blackwater rivers as well and these contribute to the flooding,” he stated. The Northern Distributor Concerned Residents’ Association member asked the councillors who supported this route if they now felt they had done the right thing in view of this flooding. He proposed that councillors should look at the various floods and at the impact these motorways and new roads have on the locality. “These areas have flooded in the past and this was highlighted to you all and instead of addressing flooding the majority of you decided to build on a floodplain. How smart is this? The situation at the moment is that the river Fergus is in serious flood near the motorway, that lands around Gort, Co. Galway and near Ardrahan cannot cope with the deluge. 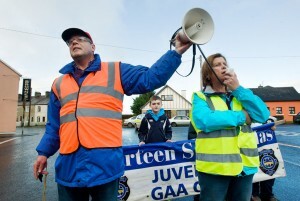 “Looking down the road how will the Northern Route impact on the residents and the areas of East Clare? Limerick is also under pressure with the flooding: it is clear to see that actions taken upstream will create disasters downstream. I have no doubt that the Limerick Councillors took all this into their consideration when they voted an outstanding “NO” against the distributor route,” he said. He wondered why some councillors who first were fully against the distributor route and who verbalised their concerns at the first meeting then jumped horses and voted for the very same proposal at the second attempt of the council to “railroad” through a yes vote.